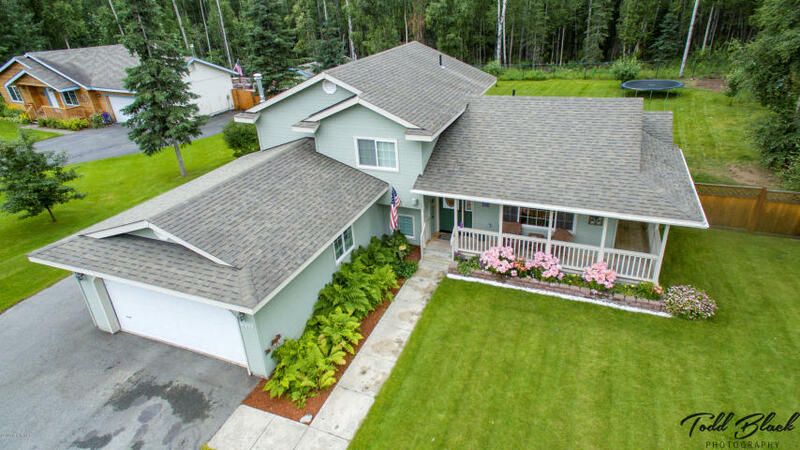 The Kristan Cole Team, member of The Kristan Cole Real Estate Network Just Listed a home at 6500 S Calista Drive in Wasilla Alaska. Located in Settlers Bay Subdivision close to the golf course, park & restaurants! Beautifully landscaped yard includes lilacs, apple trees and perennials. Fenced back yard for privacy, paved driveway and RV parking. Open floor plan tri-level home with 4 bedrooms, 3 bathrooms, filtration system, vaulted ceilings, tops and new living room carpet. $10K price drop from previous listing!